Updates to Vicki's profile since your last visit are highlighted in yellow. Currently work as a subspecialty movement disorders neurology practice centered in caring for patients with Parkinson's disease, tremor, Huntington's disease and other chronic neurologic disorders. Vicki Richardson Segro has a birthday today. Vicki Richardson Segro updated profile. View. Vicki Richardson Segro changed profile picture. 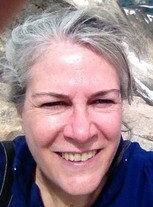 Vicki Richardson Segro added a comment on Profile.